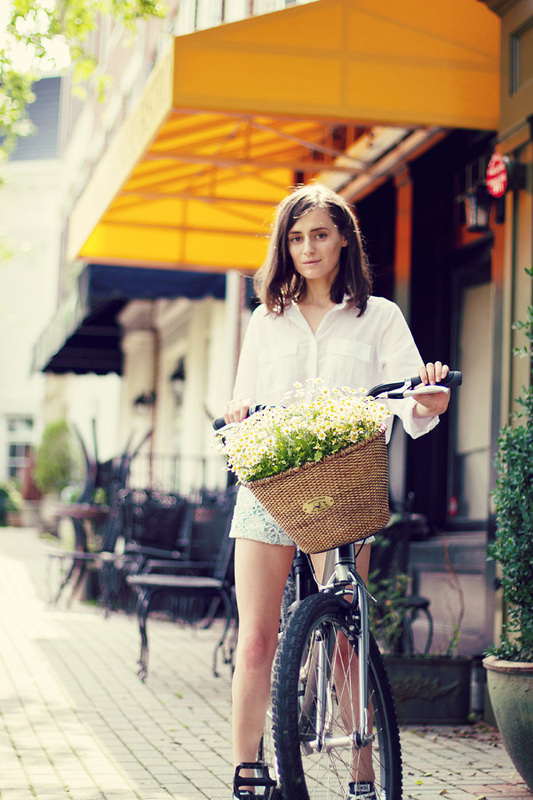 Spent Sunday morning riding the bike and picking up fresh flowers. 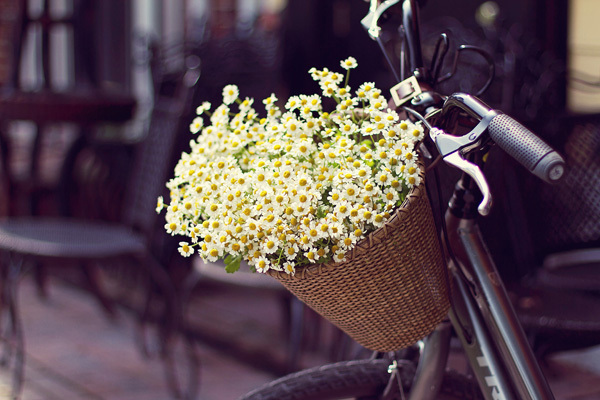 The streets were empty and quiet and I was the happiest girl roaming around with a basket full of chamomiles. Later in the afternoon we headed to our favorite farm to pick some fresh strawberries and to walk around and enjoy the serene beauty of the countryside. Best weekend ever. Hope you enjoyed yours as well. Adore these pictures, you look so gorgeous! You're making me want to dust my bike off! Sounds like a great day! These pictures are adorable! Loving them so much. Sounds so lovely. Loving the flowers, really cute! 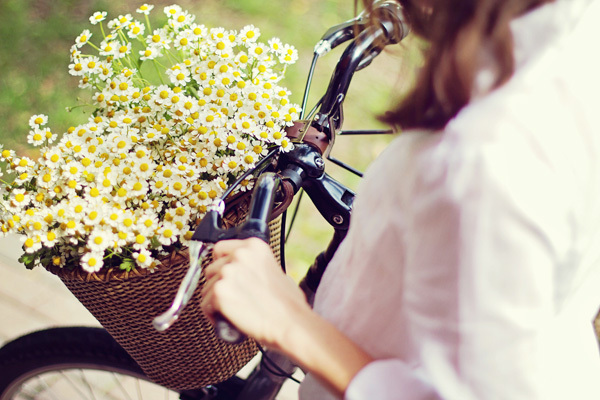 Adoro bicicletas e flores gostei. your photos are always inspiration! Such a cute cut offs! Your pics are really interesting :). 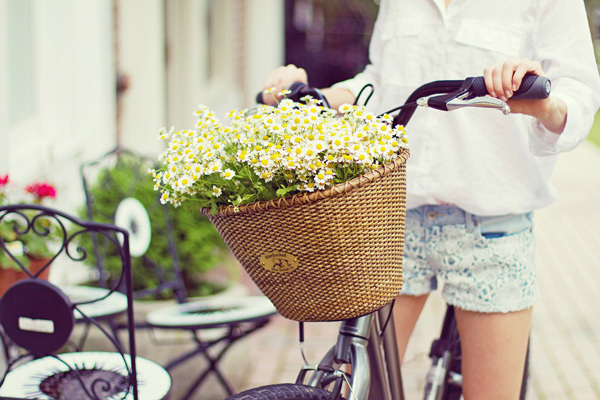 beautiful pictures, those shorts are so cute and the detail of the flowers in the basket is lovely. Beautiful photographs! Love the fresh spring colours and your outfit is gorgeous. awesome photographs like usual. i really like your casual look with short hair makes you look much younger. love it. Well, your photos are so beautiful! Ladies, you are the best!!! Thank you so much!